We provide our clients with steel made Water Container for the storage of water in a hygienic manner. Our container is widely appreciated by clients for dimensional accuracy and storage capacity. 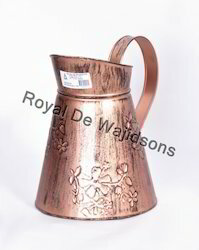 We offer it in different sizes like 16, 24 and 34 liters. Further, we ensure that the clients get to avail this container at industry leading prices. We are manufacturing & supplying a wide range of thermo Water Containers which is also called thermo water dipensers. These are made from high quality plastics and flexible handles which makes them easy to handle. From our wide consignment, we are affianced in supplying Stainless Steel Water Container. 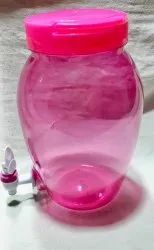 We are offering a variety of Light Weight Water container which are having smart look. These containers are in demand for light weight, user friendly and low maintenance. By utilizing skills of our dexterous workforce, we are manufacturing a comprehensive assortment of Water Storage Plastic Container. In order to cater the variegated demands of our clients, we are offering an excellent quality range of 5 Litre Water Container. In proper synchronization with the various advancements taking place in the industry, we are involved in offering Jumbo Water Cans.